Established family practices at the west-end of the GTA with large patient bases do not get listed often. This is an opportunity to own a practice with huge potential from day one! 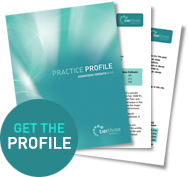 The practice has an annual patient base of almost 1,900 patients with no marketing. The patient base has multiple generations and draws from a stable area of the population. Current monthly referrals to specialists average 40-55 in number and this is possible revenue available for recapture for an owner/operator prepared to offer more procedures in-house. Located in the Oakville/Mississauga area of the GTA, the practice is ideally located on the ground level near to major transportation links and thoroughfares. The facility is well-designed and ready to move in with ample space to grow with lease options that can work in your favour. The practice currently has 5 fully equipped operatories and 1 partially ready to go. The premises include 3,000 square feet with some unique bells and whistles which must be seen to be appreciated. The current lease will run until 2020 with three 5 year renewals available after that. The owner is prepared to stay on by working three days a week for a minimum of 6 months, with additional transition time periods to be negotiated, if the purchaser desires. This is an ideal opportunity for an investor dentist; for partners to operate together; or for a single operator owner with the management and leadership skills to bring this practice up to the next level to meet its full potential.